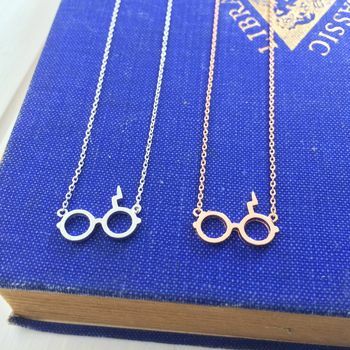 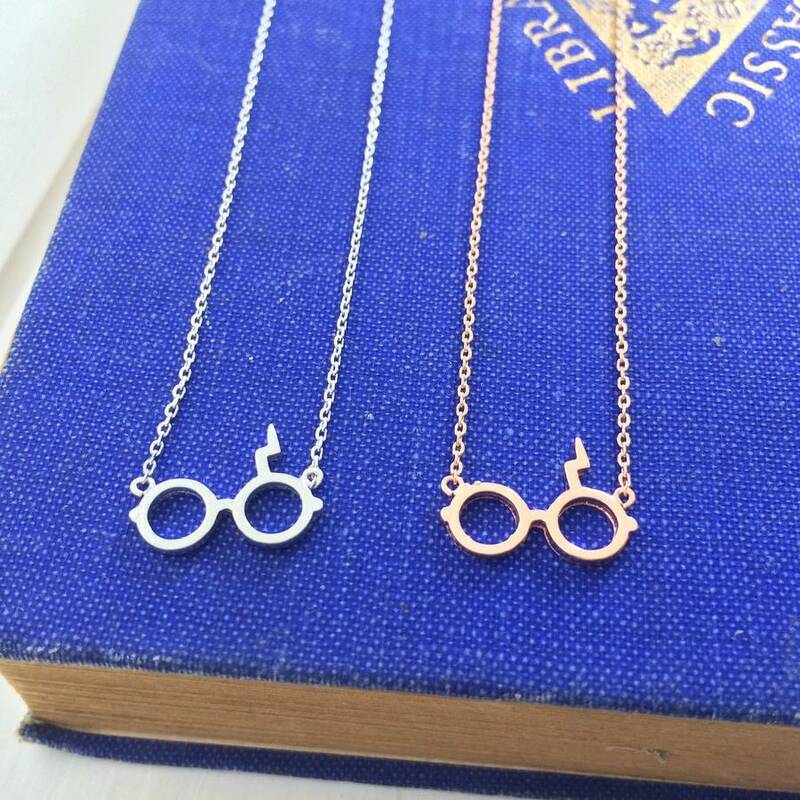 Magical wizard glasses necklace that takes inspiration from the famous wizard with a tiny lightning bolt scar feature. 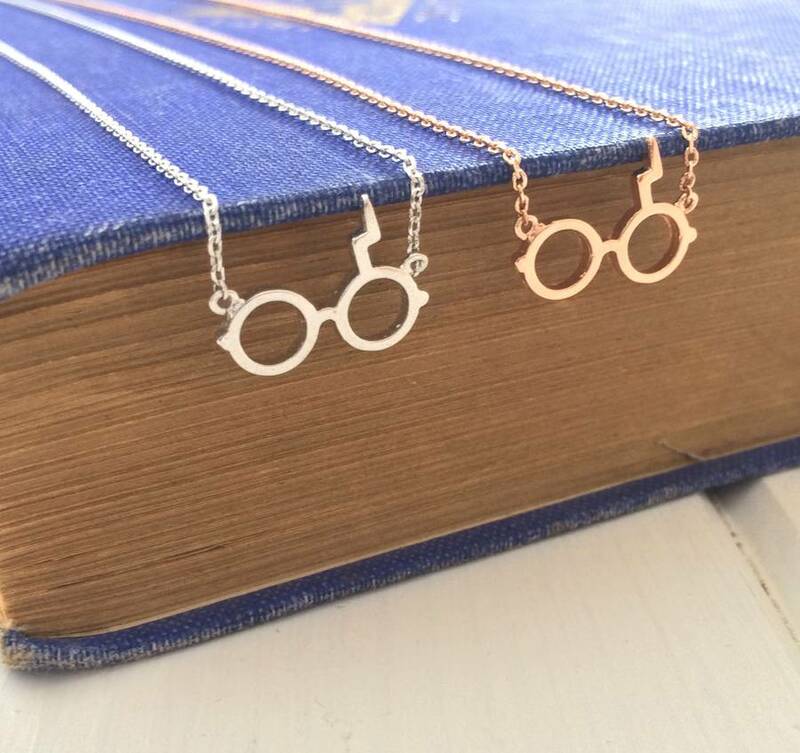 This glasses necklace makes a perfect gift for a book lover or fan of the wizard and fantasy world. 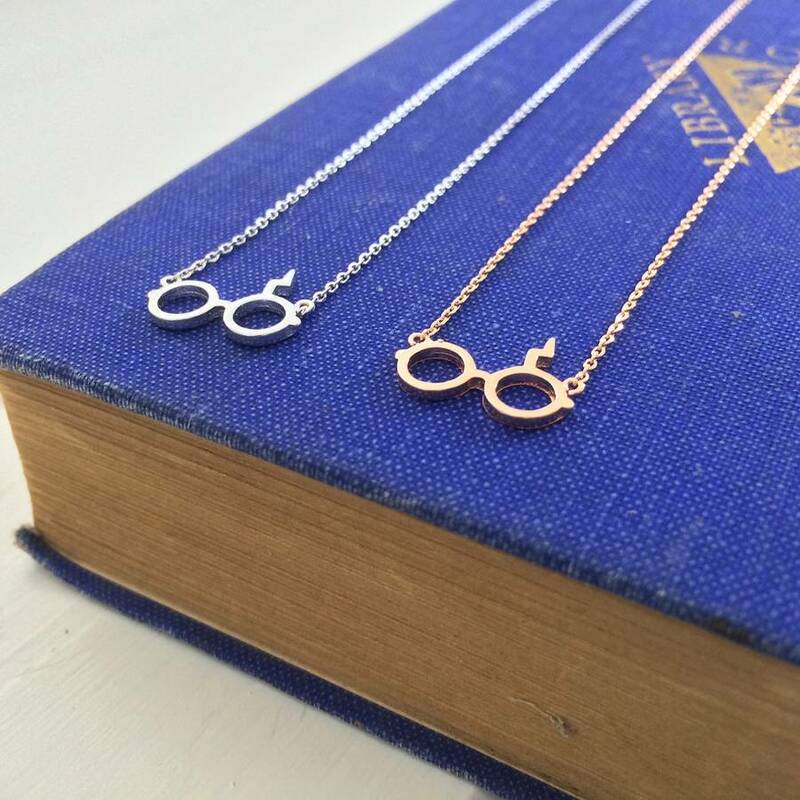 Featuring tiny glasses and lightning bolt charm on a delicate trace chain, this necklace is available in either a silver or rose gold colour. 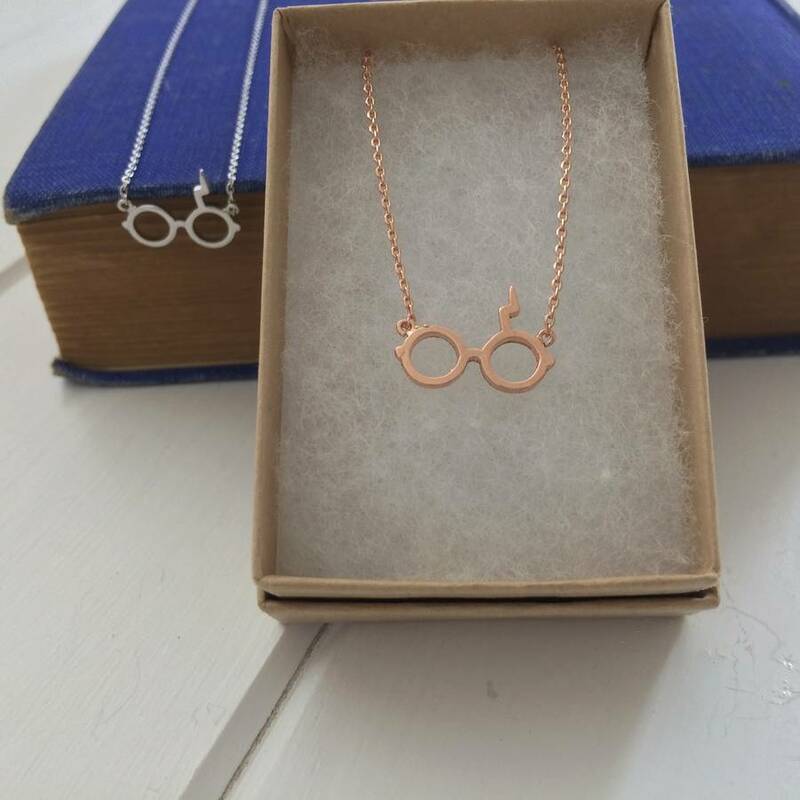 With a beautiful brushed metal finish, this dainty necklace is a subtle way to show your love of that famous wizard. 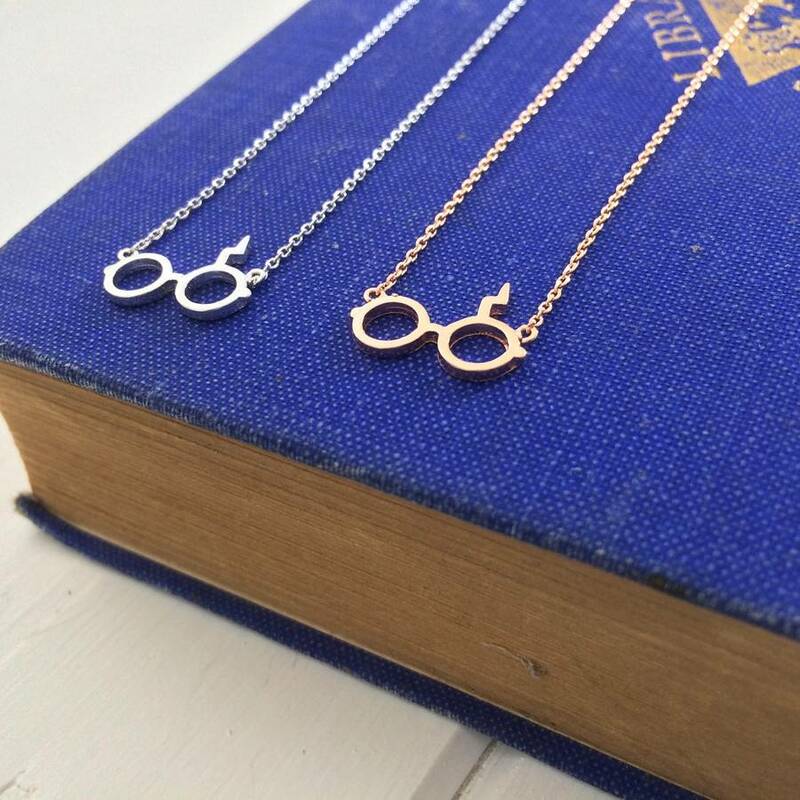 Packaged in a tiny gift box, this necklace is ready to give as a gift.